NingXia Nitro Healthy Energy Drink Shot with organic wolfberry, essential oils, green tea and Korean ginseng extract fuels your world! Enhance physical performance during exercise, support cognitive fitness and alertness and more. Most vitamin or natural energy drinks contain added sugar, caffeine and other additives that do not support your body systems to create energy, clear the mind and compliment your work, lifestyle or workout routines*. NingXia Nitro healthy energy drink checks all the boxes! 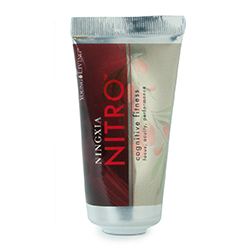 NingXia Nitro healthy energy drink incorporates the benefits of Goji berry, green tea extract, and therapeutic essential oils into a powerful antioxidant and nutritionally energized drink. The NingXia and Chinese wolfberry have been used for thousands of years to support and energize the body and mind, and promote longevity. In China, the wolfberry fruit is more often referred to as “goji-berries” or lycii fruit. They are the bright red fruit of the Lycium barbarum plants. There are over eighty species of wolfberries worldwide that vary in antioxidant and nutritional value. What are the Benefits of Wofberries? The wolfberry benefits are definitely worth investigating. They provide a natural source of calcium and magnesium, Vitamin B, antioxidants and more. For a complete list, click here! What are the Benefits of NingXia Nitro Healthy Energy Drink? Fantastic taste with no "junk-juice" (e.g., apple, white grape, etc.) or added sugar. Contains a great whole food source of iodine, minerals and vitamins particularly Vitamin B12 and B6. Contains therapeutic grade essential oils of peppermint, black pepper and nutmeg which naturally support energy in healthy body systems*. Contains natural antioxidants which may protect the body against free radicals*. Natural form of energy without sugar, artificial stimulants or additives. Only 20 calories per 1 shot tube or 20 ml serving! 0 grams of Fat; 4 grams of Total Carbohydrates and 4 grams of Sugar. Can be taken anytime for a healthy and natural energy boost*! Want to Purchase NingXia Nitro? Then go to The EEO Oil Shop. Or considering purchasing this wholesale energy drink and NingXia Red Wolfbery Juice Drink together in this NingXia Red Wholesale Kit. What is in NingXia Nitro Healthy Energy Drink? NingXia Nitro Healthy Energy Drink combines natural ingredients as well as essential oils to provide a healthy energizing drink. Proprietary Nitro Alert™ oil blend: Vanilla planifolia (Vanilla) oil, Chocolate oil, Yerba mate oil, Mentha spicata (Spearmint) oil, Mentha piperita (Peppermint) oil, Myristica fragrans (Nutmeg) oil, Piper nigrum (Black Pepper) oil, Wolfberry seed oil. Black Pepper Essential Oil (Piper nigrum) It is supportive of the digestive system and is useful topically for soothing muscle discomfort following exercise. ALLERGY WARNING: This product DOES contain milk and nut ingredients which can be allergens for certain people. The amount is negligible so it is not listed in the ingredients but still important to know. I did verify this with Product Support and it is listed on the BOX not the young living website. 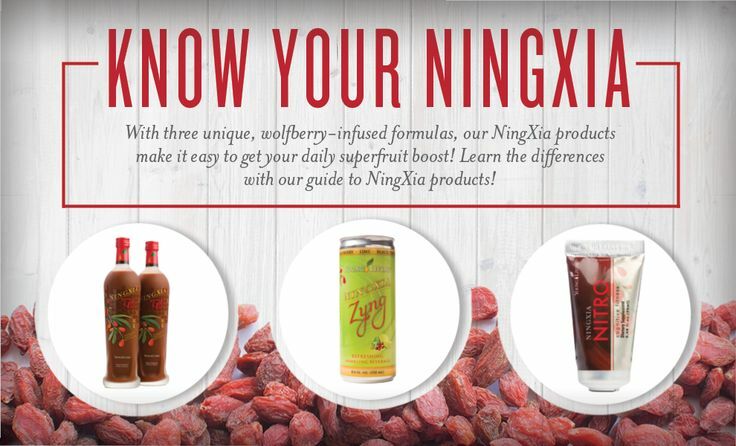 How do I Use NingXia Nitro? Drink one shot or tube daily or as needed. Place in NingXia Red, NingXia Zyng, juice, water or smoothie for anytime energy boost*. 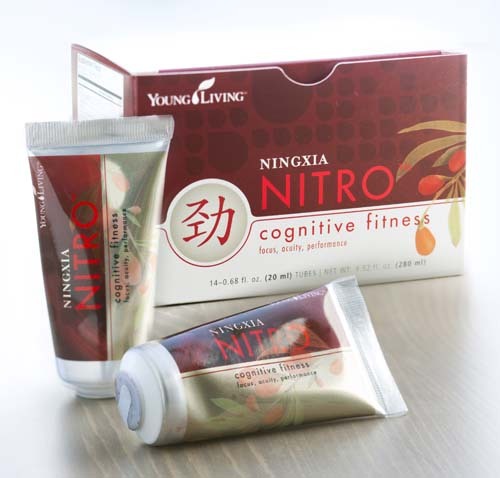 How do I use NingXia Ntro Healthy Energy Drink for My Fitness Exercise? Drink one shot or tube about 15 minutes prior to exercise. Or drink during exercise to extend energy. Can this oil be used for Animals? Not recommended for animals due to ingredients and natural occurring caffeine.